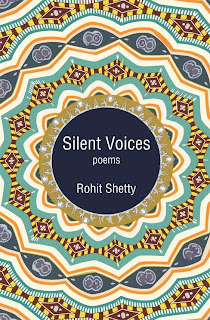 About The Author: Rohit Shetty wrote his first poem at the age of twelve. He is a chemical engineer by profession and lives in Mumbai, India. About The Book: How does it feel when you want to say something, express your feelings, but are unable to put them into words? Each one of us needs to express our emotions. While some people can do with ease, voicing what they feel without any qualms, there are so many others who are hesitant, who cannot express their emotions vocally. For them one form of expression is poetry. The poet prefers using this medium to express himself. Here is a collection of the unsaid feelings and thoughts of a person penned down in the form of poetry. Silent Voices will bring tears to your eyes, Smile on your face and gladness in your heart. Verses that will relate to these emotions and give you an outlet for emotional fulfillment. This one is very lovely poem which I could not resist to share with my readers as it contains all the emotions together. Romance, Love, sadness, tears came out from my eyes after reading this. Simply loved it no words to express my happiness.